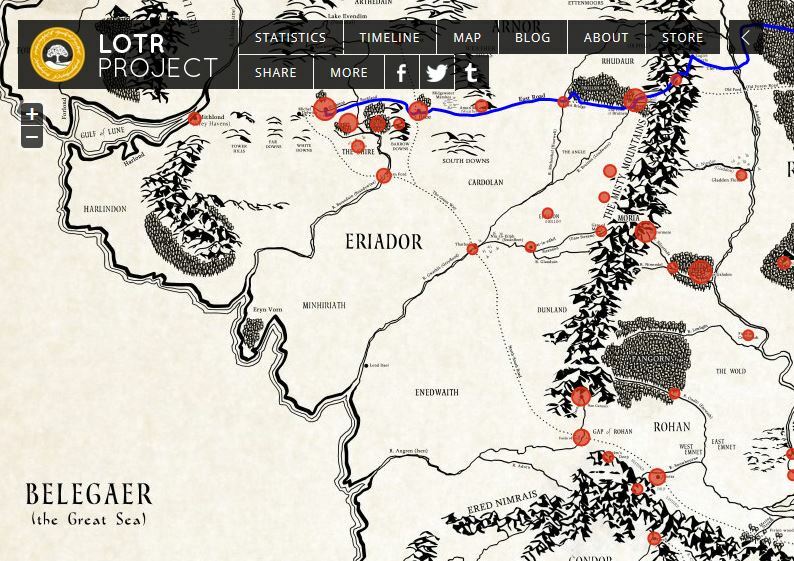 Over at LOTRProject, Emil Johannson has developed a high-resolution interactive map of J.R.R. Tolkien’s Middle-earth complete with key dates, events and character movements. It’s pretty neat, and a very effective visual representation of where some of the key events of Middle-earth’s history occurred.